Over the last decade, successive lines of trailer-trucks have helped the industry gain on fuel efficiency. Whereas trucks manufactured in 2009 averaged six mpg, today’s newer trucks are averaging between eight and 12 mpg. The ultimate goal with today’s trucks is to increase loads and reduce the use of fossil fuel. When trucking companies achieve fleet fuel savings, they can invest that extra money in better technology for improved company infrastructure. Meanwhile, engines are becoming more efficient in today’s newer trucks. Only a few years ago, an engine that moved at fewer than 1,350 rpm was seen as a risky development. Today, many of the current trucks turn at 1,150 rpm while newer models are being developed to run at only 900 rpm. When you multiply those reductions across an entire group of trucks, you have a fuel-efficient fleet with longer-lasting and more environmentally-sound vehicles. Some of the biggest advances in fuel economy standards were initiated by the SuperTruck Program, the studies of which have been used by manufacturers of truck components in recent years. These parts have allowed truck manufacturers to produce vehicles with greater efficiency and lower emissions. Peterbilt, for example, has enjoyed an 85 percent increase in freight efficiency, a 75 percent boost in fuel economy and a 43 percent drop in emissions since following the program. Down the line, manufacturers hope to see trucks convert thermal exhaust into electrical power. Fuel-efficient fleet innovations such as these are expected to bring great improvements to commercial fleet management over the next decade. One of the most dangerous factors for the trucking industry is the unpredictable nature of fuel prices. While it has been known for decades that fuel prices can and do rise, few predicted the cost spurts of the 2000s, where the price of gasoline suddenly exceeded $4.00 per gallon. As expected, the industry was hit heavily by this newfound overhead and many small and mid-sized fleets could no longer afford to operate. In recent years, fuel costs have come down but still account for a fourth of a fleet’s operating costs. For example, a truck driven 100,000 miles annually at 6.3 miles per gallon will consume $40,000 of gas each year at $2.50 per gallon. When you multiply that number by the roughly 1.7 million trucks on America’s highways, annual industry-wide fuel costs exceed $68 billion. 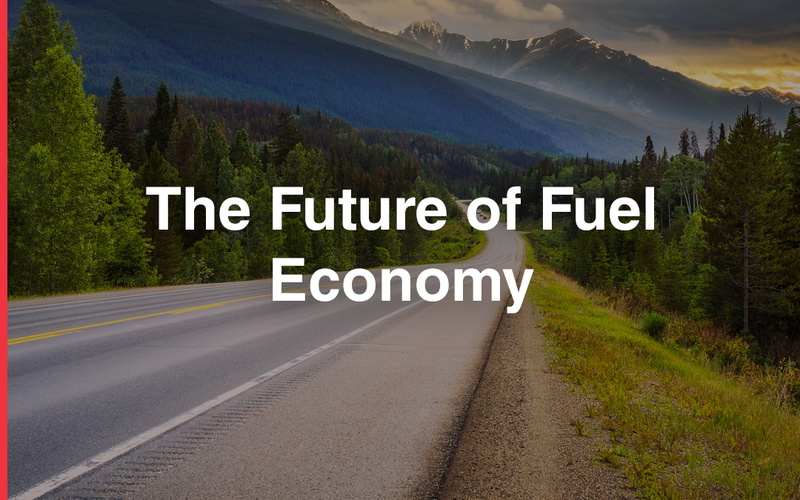 As such, the industry could witness millions in savings with just a one- or two-point improvement in fleet fuel economy. During the first half of the 1980s, many people in the trucking industry theorized that the then-55 mph speed limit on U.S. highways — which had been in effect since the Arab oil embargo of 1973 — was forcing fleets to spend more on fuel. According to the theory, trucks get better fuel economy when driven at higher speeds. Therefore, the industry could maximize tractor-trailer fuel economy if only the nation would raise its speed limit. Funny enough, this theory would be put to rest when the industry held The Double Nickel challenge, where 33 trucks were entered into a test to see whether the vehicles could, in fact, get greater fuel efficiency when driven beyond the 55 mph limit. Each truck was driven for a series of laps around a track at the national speed limit and was then driven a further round of laps at higher speeds. With few exceptions, the trucks burned less fuel at the lower speed. Today, the 55 mph speed limit on national highways is no longer in effect, but a majority of trucks are electronically governed to run at speed limits in the 60 to 63 mph range. To a large extent, these limits are due to safety concerns. After all, long-haul trucks bear far more weight and have a more formidable presence on highways than passenger cars and vans. However, a big reason for the speed restrictions on trucks comes down to fuel economy. Nonetheless, the effort to boost fuel efficiency with long-haul trucks has not ended with speed restrictions. In fact, 2018 marks the federally-set deadline for the trucking industry to improve its mileage on tractor-trailers by 20 percent. Implemented in 2011, the goal was in part inspired by similar efforts in Japan, where fleets have reduced greenhouse emissions by 25 percent since 2006. As the results of these changes are measured, the rate of tractor-trailer fuel consumption is expected to drop among U.S. fleets. To achieve these ends, the auto industry has laid out a series of plans designed to improve fuel economy, such as enhanced rolling resistance and alterations in truck aerodynamics. Still, the ultimate fuel saver so far for long-haul trucks has been the industry’s self-imposed speed limits. Even on highways that allow speeds of up to 75 mph, long-haul trucks must drive at least 10 mph slower, as doing so allows trucks to reduce fuel consumption by as much as 27 percent. As proved back in the 1980s during the Double Nickel Challenge, the trucking industry could improve its fuel economy even more by limiting fleets to speeds of 55 mph or less. Alas, on today’s faster-paced national highways, driving at such low speeds would only spawn other sorts of dangers, such as cars switching lanes to speed ahead of slower trucks. Consequently, heavy truck fuel consumption can only be reduced to a certain extent by slower driving alone. Furthermore, the advent of resting laws — where truckers must pull over for rest after x-amount of hours on the road — has slowed the pace of deliveries to where any further slowing would cut into profits and erase any gains that slower speeds could possibly generate for the industry. Ironically, fleet fuel savings measures could prove costly in other ways if taken too far at the expense of business, since fleets are still expected to deliver on routes in a timely manner. Recent developments in tracking technology have also allowed the trucking industry to improve fuel economy. For example, many of today’s long-haul trucks are equipped with wireless sensors that allow fleet operators to track the progress of each truck in real-time. This way, trucking companies can study differences in driving patterns between the most- and least-productive drivers. Basically, a trucking company could ultimately build itself a more fuel-efficient fleet by using only the best drivers. By studying these differences, fleets can enact the most realistic delivery goals within a given route or radius. Likewise, fleets can use this information to improve their training protocols and in some cases weed out drivers who continue to underperform. Despite the “Big Brother” stigma such tracking systems are associated with, the technology has allowed fleets to improve fuel economy by as much as 25 percent. In November 2017, Elon Musk unveiled the Semi — Tesla’s electric, automatic semi-truck. Designed to haul loads of up to 80,000 pounds, the truck can travel 500 miles between each charge-up and run on autopilot on the nation’s freeways. Production of the Semi is scheduled to roll out in 2019. Commercial fleet management could grow by leaps and bounds in the decade ahead as trucking companies operate automatic vehicles remotely from a central facility. The advent of electric, automatic trucks is expected to save thousands of lives each year on America’s highways. Currently, truck collisions are responsible for roughly 4,000 deaths on an annual basis. Many of these accidents are down to drunkenness, fatigue, inattentiveness, aggressive driving and inertia on the part of drivers. As trucks like the Semi become the norm, highways are expected to see a vast reduction in fatalities related to human error. Nonetheless, autopilot trucks have attracted strong criticism from policy institutes that view the technology as disruptive to the livelihoods of tens of thousands of Americans. At present, the driver/delivery positions in the trucking industry account for roughly 3.2 million jobs in the United States. Critics argue that many of the people who currently fill these positions could ultimately be out of work if autopilot technology advances and displaces human drivers in the coming years. As things currently stand, truck driving is a lucrative field for those willing to spend long hours behind the wheel on the interstate highway grid. With a median annual income of $34,768, drivers earn 11 percent more than the nation’s average worker. The earning potential is even greater for companies that manage to improve their tractor-trailer fuel economy. After all, with good fleet fuel economy, trucking companies can use their savings to reinvest in their own operations. Despite the earnings potential — but perhaps because of the hours, routes, and isolation the job entails — fleets see a high turnover rate among drivers. In fact, the last two years have witnessed a nine-out-of-ten turnover rate. Consequently, the industry now has roughly 50,000 unfilled driver positions. Despite the ability of autopilot trucks to run without human hands, few of these vehicles will actually be operated free of drivers anytime soon. Industry insiders claim that such vehicles are bound to run in platoons in which the head truck is manned at the wheel. Others predict that such vehicles will be manned but that the driver will instead spend routes inputting data through mobile connections and only assume the wheel when the truck arrives at destinations. Other predictions involve the development of a whole new field of remote drivers. In this scenario, the drivers would operate vehicles remotely from a central office. As the vehicle moves, the “driver” would monitor its whereabouts from a computer screen and command its moves with a joystick. This way, heavy truck fuel consumption would be greatly reduced because there would be no pit stops and the vehicle would only be powered off and reignited on rare occasions throughout a delivery route. While the vehicle would largely be self-reliant on the flat planes of the freeway, the remote driver would guide it through trickier parts of the route such as turns, stops, and exits. Granted, these remote operating centers wouldn’t likely employ an individual driver for every vehicle. In fact, a single remote driver might be able to operate up to 30 different vehicles on the same shift. With no need to stop these trucks at Holiday Inns and restaurants across the U.S., fleet fuel savings could improve dramatically. For those who gain employment as drivers in the future, the upsides would be numerous. For starters, drivers will, by and large, be spared from the hazards and long hours that interstate delivery routes entail. Instead, drivers will be able to work near home and return to their loved ones at the end of each working day. This would in turn draw a new and different type of applicant into the field, which would now be seen as an ideal profession in the minds of many who wouldn’t have entered this line of work. One of the big roadblocks to a nationwide rollout of automatic trucks is snow, which can interfere with self-driving sensors. Consequently, the technology is bound to be restricted to warmer regions of the U.S. until automakers find ways around this problem. The challenge going forward among creators of autopilot vehicles will involve the development of sensing technology that will work through any type of weather pattern. Industry analysts predict that the technology will spread faster than expected but not become universal for several decades. Considering how the current median age of truck drivers is 49, this should give younger drivers time to retrain. By the time the trucking industry does go fully automatic, many of today’s drivers will likely be retired. In terms of its impact on job figures, the rollout of autonomous trucks is likely to hit hardest in states with high concentrations of fleet employees. Such states would include Iowa, Illinois, Indiana, Mississippi, Arkansas, and Wyoming. As such, commercial fleet management companies in those states will need to take steps to prepare their drivers for these changes. Analysts on behalf of the trucking industry’s rank and file claim that lawmakers should do more to protect the industry from the threat of disruptive technology. However, current legislation has only addressed self-driving automobiles. Policies regarding automatic trucks are likely to be governed on a state-by-state level. In the trucking industry, fleets face numerous challenges. In order for fleets to be profitable, they need to get deliveries made on time with as little overhead as possible. The ability to deliver allows fleets to hold onto clients and earn money. With low overhead, trucking companies are able to pass the savings on down. At IMI, we’ve been helping trucking companies find ideal fleet fuel consumption solutions and solve other management problems for nearly 45 years. Contact IMI today to learn more about what we do and what we can bring to your operation.